How does digital government in the UK compare to other countries? The Organisation for Economic Cooperation and Development (OECD) measures this in Government at a Glance. According to this report, the UK does well at publishing open data and managing benefits from IT projects, but less well at take-up of digital services and engaging users with little formal education on social media. At GDS, we’ve been trying to improve digital take-up for the last 4 years, so we were concerned and went to meet Edwin Lau at the OECD (who heads the public sector reform division) to see what we could learn from their report. It turns out that the OECD are measuring how many citizens got government information or did a transaction online at least once in the past year. We think this measurement could be improved. A country with paper only tax and visa systems could still get a good score if many people registered online to vote. It would be better to measure what proportion of transactions are online (or how many paper forms citizens still have to fill in). Other governments with a reputation for being at the forefront of digital also score poorly (e.g. Estonia). International comparisons are hard. There are language barriers and data is published slowly and collected inconsistently (e.g. 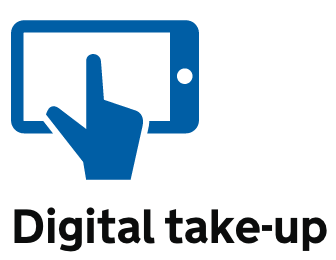 for digital service take-up, Denmark’s survey is online but the UK uses a paper survey). Other organisations also find it hard to compare digital government: the UN e-Government Development Index (where the UK does well) has large shifts in rankings between the 2012 and 2014 editions. It’s just very hard to agree metrics that work for everyone. Overall the OECD performance team is doing a good job - they were reviewing their metrics anyway this year and we agreed to help. International surveys are of interest, but for routine performance management we need more frequent metrics. We have four Key Performance Indicators (digital take-up, cost per transaction, completion rate and user satisfaction). These are broken down by department and service on the Performance Platform. They aren’t perfect, but at least they are mostly objective and focussed on users. More generally, we have a range of tools to measure everything that we care about improving - from user need to operational capability, usability, accessibility, technical performance and security. Finally, the OECD report compares numbers of followers of government Twitter accounts in different countries. Overall, @Number10gov is the most popular (although unfortunately we have a lower proportion of users with low educational attainment than other countries). This raises the question of how we can use digital to measure how people feel about the performance of the government as a whole. 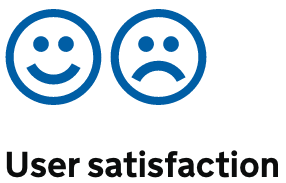 We would welcome feedback as we’re currently refining our own Civil Service effectiveness indicators. What do you think would be the best things we could measure on social media, our own websites, or the internet more generally to show how the government is doing? Please add your suggestions in the comments below!